When will be Filthy Rich next episode air date? Is Filthy Rich renewed or cancelled? Where to countdown Filthy Rich air dates? Is Filthy Rich worth watching? 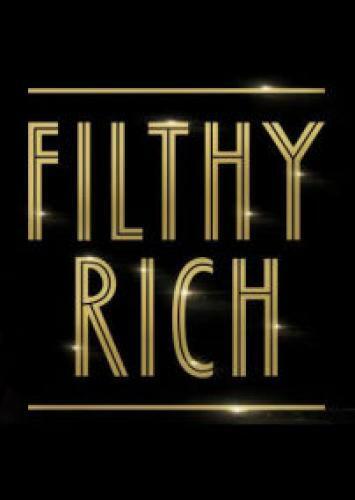 Filthy Rich centres on three illegitimate children who discover they each have a claim to the fortune of one of New Zealand's wealthiest men – John Truebridge. When he dies, these unwanted, unexpected heirs stand to share in his legacy – but not if his legitimate family has anything to do with it! Miriama Smith (Siege, Legend of the Seeker) leads an incredible cast, playing Brady - the ambitious, younger second wife of John Snr. She thought she'd inherit it all – or at least share in the spoils of a legacy with her step-son, John Jnr. But secrets are revealed, alliances forged and suddenly there are three cuckoos in the nest – with no intention of leaving soon. Brady clashes with Ariki as Kennedy reveals all online. Vader finds a jealous ex has plans for destruction. Ariana and Annabelle go head to head - and the gloves are off. Ariana and Joe have unfinished business, but shock news leads to heartbreak. Brady launches an assault on Fisher, which leads to killer consequences. Kennedy finds that her nearest might not be her dearest. Joe finds his mother has big plans. John works the angles - only to end up as a target. Brady vanquishes her foes, only to find there are traps. Joe makes a romantic declaration, as John is a hero. Savannah's triumph turns to betrayal. Filthy Rich next episode air date provides TVMaze for you. EpisoDate.com is your TV show guide to Countdown Filthy Rich Episode Air Dates and to stay in touch with Filthy Rich next episode Air Date and your others favorite TV Shows. Add the shows you like to a "Watchlist" and let the site take it from there.